September story: Labor Day is one of Hollywood's least favorite holiday weekends and this one didn't do much to change things. Because Labor Day is the last gasp of summer, particularly for people living where fall weather is fast approaching, it's a weekend to try to get in one last beach trip or to do something outdoors. People feel moviegoing can wait until it's cold and rainy and they can't picnic or barbecue. While rain is usually good for the boxoffice, hurricanes are another matter. Last weekend's visit by Hermine to Florida and much of the East Coast wasn't good for anyone, including Hollywood. "This Labor Day weekend will be up around 8% to 10% vs. last year's holiday frame," comScore box office analyst Paul Dergarabedian said Monday. "Overall summer revenue for 2016 is still in a neck and neck battle with last year that could put this summer statistically dead even with the summer of 2015's $4.484 billion final full season total." Horror film fans kept the R rated suspense thriller "Don't Breathe," from Screen Gems, Stage 6 Films and Ghost House Pictures in first place for a second weekend. It did $19.6 million for four days, bringing its domestic cume to $55 million. Warner Bros. and DC Comics PG-13 rated action adventure fantasy comedy "Suicide Squad" held on to second place with $12.8 million for four days and a domestic cume of $300.2 million after five weeks. Neither of the holiday weekend's wide openings hit the top five. Disney's release of the PG-13 rated drama "The Light Between Oceans," from DreamWorks, Reliance Entertainment and Participant Media, placed eighth with $5.9 million for four days. Written and directed by Derek Cianfrance, writer-director of "Blue Valentine" and "The Place Beyond the Pines," it stars Michael Fassbender, Alicia Vikander, Rachel Weisz, Bryan Brown and Jack Thompson. It's the final film Disney is releasing for DreamWorks, which will now be distributed by Universal. 20th Century Fox and Scott Free Productions' R rated thriller "Morgan" opened 18th with $2.4 million for four days. It's from first time feature director Luke Scott ("The Hunger" TV series), who should have good directing genes as the son of Ridley Scott ("Alien") and nephew of the late Tony Scott ("Top Gun"). Starring are: Kate Mara, Anya Taylor-Joy and Rose Leslie. Besides ending the four month summer period from May 1 – Aug. 31, September marks the start of the six month awards season, culminating Feb. 26, 2017 with the 89th annual Academy Awards. In September, summer's big budget comic book driven franchises give way to a mix of smaller film festival dramas with Oscar hopes and mainstream films targeted to families, horror fans and action audiences. SEPT. 9-11: The PG-13 rated biographical drama "Sully," from Warner Bros., Village Roadshow Pictures and RatPac Entertainment, is opening at about 3,350 theatres. Directed by four-time Oscar winning director Clint Eastwood ("Million Dollar Baby"), it's a potential awards contender that should play best to adult men and women. 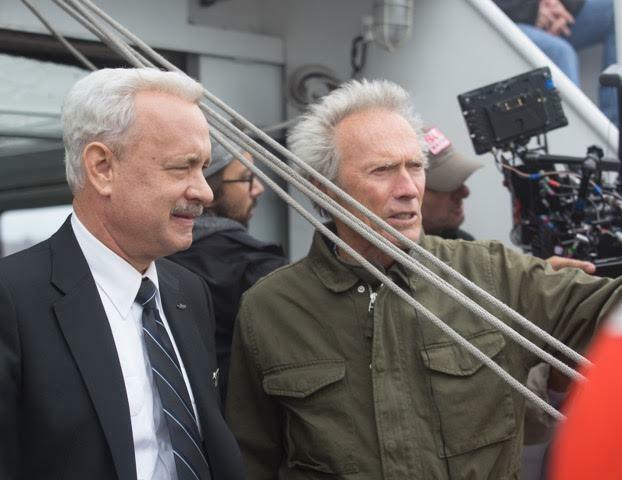 Tom Hanks, a two-time Oscar winner, stars as Captain "Sully" Sullenberger, who in January 2009 glided his disabled plane onto the frigid waters of the Hudson River, saving the lives of all 155 people on board. But just as Sully was being heralded for his aviation skill, an unfolding investigation threatened to destroy his reputation and career. Eastwood won the best picture Oscar in 2005 as a producer of "Baby." He also won Oscars in 1993 for best picture and best directing for "Unforgiven." In 1995 he received the Academy's Irving G. Thalberg Memorial Award. Hanks won back-to-back best actor Oscars in 1994 for "Philadelphia" and in 1995 for "Forrest Gump." Screen Gems' PG-13 rated horror mystery "When the Bough Breaks," opening at about 2,200 theatres, is directed by Jon Cassar ("Forsaken"). Starring are: Kiefer Sutherland, Donald Sutherland and Brian Cox. Kiefer Sutherland plays John Henry Clayton, who returns home to reconcile with his father, Rev. William Clayton (Kiefer's father Donald Sutherland). John finds a local gang is terrorizing his hometown and he's the only one who can stop them. Lionsgate and StudioCanal's PG rated animated comedy adventure "The Wild Life." Opening at about 2,200 theatres, is directed by Vincent Kesteloot & Ben Stassen. It stars the voice talents of: Matthias Schweighöfer, Kaya Yanar and Ilka Bessin. It should play best to family audiences, particularly moms with young kids. "Wild" is the story of Robinson Crusoe (voiced by Schweighöfer) being shipwrecked on an exotic island, as told by Tuesday, a very outgoing parrot (voiced by David Howard). Relativity Media's R rated horror thriller "The Disappointments Room," opening at about 1,500 theatres, is directed by D.J. Caruso ("Disturbia"). Starring are: Kate Beckinsale, Lucas Till and Michaela Conlin. It should play best to under-25 females, the core demo for most horror movies. In "Room," a dream home's attic is the setting for horrors set free by a mother and her young son. SEPT. 16-18: The R rated romantic comedy "Bridget Jones's Baby" is from Universal, Studio Canal, Miramax and Working Title Films. Directed by Sharon Maguire ("Bridget Jones's Diary"), it stars Renée Zellweger, Colin Firth and Patrick Dempsey. It should play best to adult women. In this next chapter based on Helen Fielding's best selling novels about the world's favorite singleton, Bridget (Zellweger) is now unexpectedly expecting. Open Road Films' R rated biographical drama "Snowden" is from three time Oscar winning director Oliver Stone ("JFK"). Its screenplay by Kieran Fitzgerald & Oliver Stone is based on the books "The Snowden Files: The Inside Story of the World's Most Wanted Man" by Luke Harding and "Time of the Octopus" by Anatoly Kucherena. It should play best to adult men and is a likely awards contender. Joseph Gordon-Levitt plays NSA employee Edward Snowden, who leaks thousands of classified documents to the press. Also starring are: Scott Eastwood, Shailene Woodley and Nicolas Cage. Stone won best directing Oscars in 1990 for "Born on the Fourth of July" and in 1987 for "Platoon." He won the adapted screenplay Oscar in 1979 for "Midnight Express." Lionsgate's R rated horror thriller "Blair Witch" is directed by Adam Wingard ("The Guest") and stars Corbin Reid, Wes Robinson and Valorie Curry. It should play best to young women, who are typically the core audience for horror films. "BW" is the third episode in the franchise that began with "The Blair Witch Project," which opened July 16, 1999 to $1.5 million at just 27 theatres and went on to do $140.5 million domestically. "Book of Shadows: Blair Witch 2" opened Oct. 27, 2000 to $13.2 million and wound up doing $26.4 million domestically. In "BW," James (James Allen McCune) finds video footage of what could be his sister in the terrifying Blair Witch woods. The discovery sends James and some friends into the forest to search for her. Nicholas Stoller ("Neighbors," "Neighbors 2: Sorority Rising") & first time feature director Doug Sweetland. Its voice talents include: Andy Samberg, Kelsey Grammer, Katie Crown and Keegan-Michael Key. It should play best to families with young children. In the film, storks, who used to deliver babies, are now delivering packages for an online retail giant. The top delivery stork, Junior (Samberg), is about to be promoted when he accidentally activates the Baby Making Machine -- producing an adorable but totally unauthorized baby girl. Warner Bros. enjoyed great success with as similar 3D animated family film, "The Lego Movie," which opened Feb. 7, 2014 to $69.1 million and did $257.8 million domestically. MGM, Columbia and Village Roadshow's PG-13 rated action western "The Magnificent Seven" is from Antoine Fuqua, director of "Training Day" and "The Equalizer" and stars Denzel Washington, Chris Pratt and Ethan Hawke. It should play best to adult men. "Seven" is a modern remake of the classic 1960 western directed by John Sturges ("Bad Day at Black Rock") that starred Yul Brynner, Steve McQueen and Charles Bronson. The new "Seven" is generating an early Oscar buzz, prompted by its having been chosen as the closing night selection at the Venice Film Festival and as the Toronto International Film Festival's opening night selection. With the town of Rose Creek under the deadly control of a ruthless industrialist (Peter Sarsgaard), residents turn for protection to seven hired guns. In the end, the seven mercenaries find they're fighting for more than just money. Lionsgate, Participant Media and Summit Entertainment's PG-13 rated action thriller "Deepwater Horizon" is from "Lone Survivor" director Peter Berg and stars Dylan O'Brien, Mark Wahlberg and Kate Hudson. Inspired by a true story of real life heroes, it should play best to adult men. It's the story of the offshore drilling rig Deepwater Horizon, whose explosion in April 2010 resulted in the worst oil spill in U.S. history. 20th Century Fox, Chernin Entertainment and Tim Burton Productions PG-13 rated fantasy adventure "Miss Peregrine's Home for Peculiar Children" is directed by Tim Burton ("Alice in Wonderland"). Starring are: Eva Green, Asa Butterfield and Samuel L. Jackson. It should play best to adult men and women. When Jacob Portman (Butterfield) discovers clues to a mystery spanning different worlds and times, he finds a magical place known as Miss Peregrine's Home for Peculiar Children. As he gets to know the residents and learns about their special powers and powerful enemies, the mystery and danger deepens. Relativity Media's PG-13 rated action crime comedy "Masterminds" is directed by Jared Hess ("Napoleon Dynamite") and stars Kristen Wiig, Kate McKinnon and Jason Sudeikis. It should play best to young adult men and women. In "Masterminds," David Ghantt (Zach Galifianakis) discovers the true meaning of adventure far beyond his wildest dreams. David's stuck in a monotonous life, driving an armored vehicle. His only glimmer of excitement is with his flirtatious work crush, Kelly Campbell (Wiig), who soon lures him into the scheme of a lifetime. Bottom line: In last week's column looking at the summer's Top Five hits, I noted that the fifth ranking title, 20th Century Fox and Marvel Entertainment's "X-Men: Apocalypse" with $155.4 million might be edged out post-Labor Day by Universal's "Jason Bourne," whose cume was then $149.4 million. As it turns out, "Bourne's" done just that. Its cume through summer's end is now $156.2 million.